Michael Lewis’ brilliant narrative takes us into the engine rooms of a government under attack by its own leaders. In Agriculture the funding of vital programs like food stamps and school lunches is being slashed. The Commerce Department may not have enough staff to conduct the 2020 Census properly. Over at Energy, where international nuclear risk is managed, it’s not clear there will be enough inspectors to track and locate black market uranium before terrorists do. 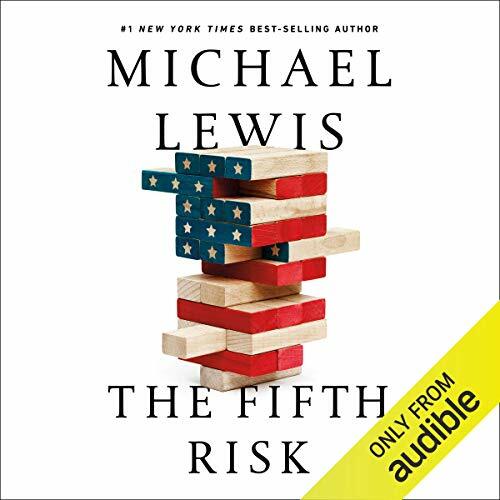 ©2018 Michael Lewis (P)2018 Audible, Inc. I am a huge Michael Lewis groupie. The undoing project is literally my favorite book. 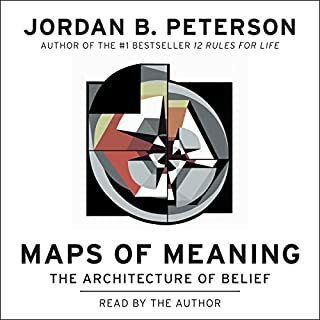 That's why I feel so awkward writing this review as I was deeply disappointed with this book (and with audible as well). 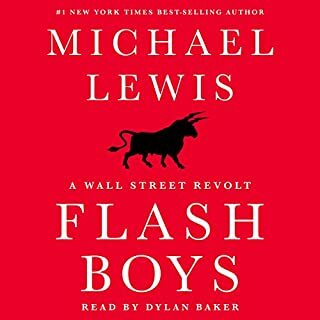 As an audible member I recently got for free the book "The coming storm" by Michael Lewis. An awesome gift I thought. I read it and thought it was quite nice. Then, a few weeks later when The Fifth Risk was out, I was super excited to read that too. Half way through The Fifth Risk I discovered, to my surprise, that The Coming Storm is actually *the 2nd half of The Fifth Risk*. What??? 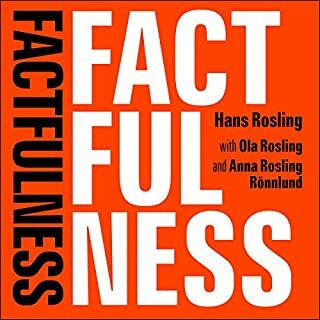 So for the full price of an already short audiobook (5 hours) I got original content of just 2.5 hours. Money and value aside, this is just bizzare story telling! couldn't someone notify me these two books have the same content?? Why would I want to read the book's end before its start? 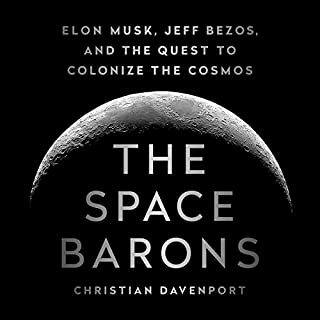 Other than that, the book is just ok. some truly interesting parts but I didn't feel a strong overarching theme (but maybe this is my fault as I read the 2nd part of the book few weeks before its first part... :/ ). Narrator is great. 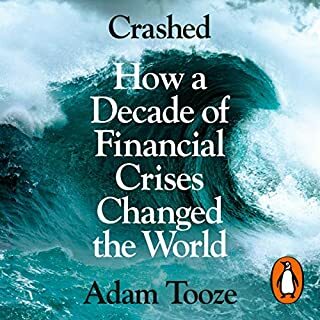 If you ever decide to read this book do yourself a favor and don't read "the coming storm" AKA the second half of this book beforehand. 233 sur 262 personne(s) ont trouvé cet avis utile. "It's the places in our government where the cameras never roll that you have to worry about the most." 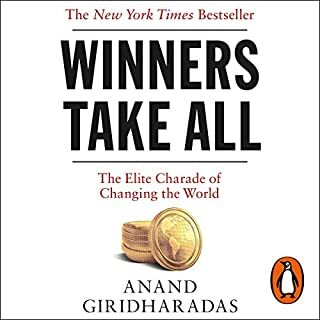 I've read several books about President Trump and his administration in the last couple years. They all depress me a bit. I feel like I'm reading some real-time version of Gibbons' 'Decline and Fall of the Roman Empire'. 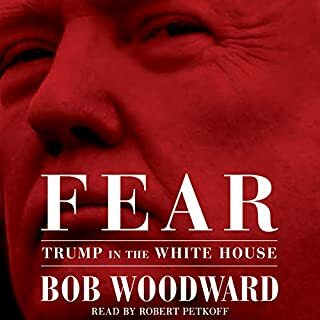 But none of the other Trump books scared me like this one did. Lewis isn't interested in the Fox/MSNBC politics or the Twitter-level anxiety of the Trump administration. 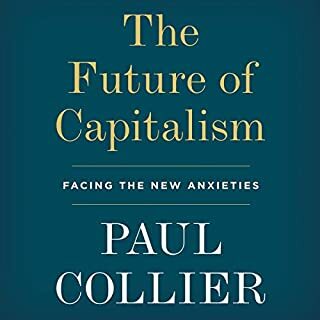 He is interested, in this book, in the systematic and bureaucratic failures of the Trump administration and what risks this administration's lack of professionalism (this is beyond politics, thisis about competency of governance) might mean to our country and our people. 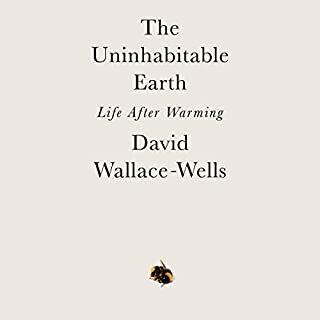 Lewis does this using his usual approach (which is a bit similar to John McPhee's new nonfiction approach). He finds interesting people who become narrative heros and guides to an area and ties them together into a compelling story or narrative. The areas Lewis explores? Presidential Transitions (guide: Max Stier); I Department of Energy/Tail Risk (guides: Tarak Shah, John MacWilliams), II USDA/People Risk (guides: Ali Zaidi, Kevin Concannon, Cathie Woteki), III Department of Commerce/All the President's Data (Guides: Kathy Sullivan, DJ Patil, David Friedberg). * I get the irony. This books scared the sh!t out of me. It made me sad. Therefore, I wish it were longer. 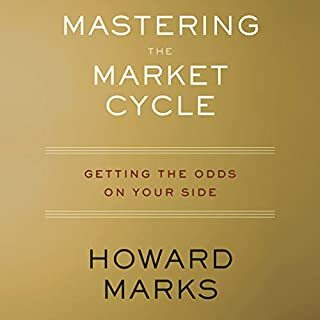 Almost 1/3 of this book was already released on audible as “the coming storm.” I like Michael Lewis and his writing but I feel cheated that I used a credit on it. The main message of the book was already in The Coming Storm. I cannot fathom why a great writer like MIchael Lewis would agree to such a stupid stunt. I listened to The Coming Storm and really liked it. About half-way through The Fifth Risk, I couldn't believe that I was listening to the The Coming Storm again. I literally started a chat with Audible about having gotten a corrupt file. 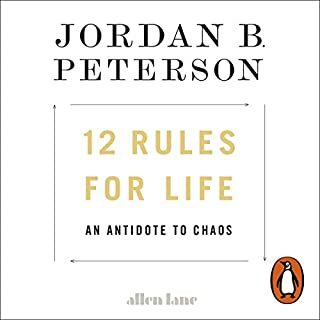 When they couldn't help me, I went back to the book description and saw the "warning label" about this book being The Coming Storm with a couple of chapters added on the front. I literally thought that The Coming Storm was a book that Lewis decided not to finish, so he gave it to Audible. Now I realize that The Fifth Risk is the book he didn't finish and The Coming Storm was the best part of it. 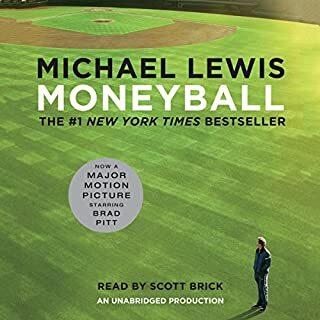 I'm really disappointed in Audible and in Michael Lewis. 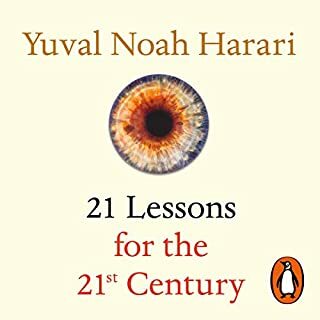 Audible should rethink its "Only from Audible" strategy. So far, it is definitely cheapening an otherwise great brand. 34 sur 40 personne(s) ont trouvé cet avis utile. I have loved all of Lewis's other books. They had a clear story and a clear point, even if it took several chapters to really find out what it was. The Fifth Risk is really all over the place. We started out with the series of events that led up to Donald Trump getting elected and how poorly he managed the transition. Then we talk about the way some of the government departments were run before he was elected. Then we talk about NOAA and weather data and how the Trump administration revoked public data sets because AccuWeather is greedy. Then we talked about tornadoes in Oklahoma. There was no real story, no climax, and no real point to it all other than the obvious "Trump is bad, and the people he has appointed are either stupid or just not the right people for the jobs to which they were appointed." (that's not a quote from the book, it's just what I took away as the major theme of it all). This is not a political statement at all, as he cites very clear evidence that it's an accurate reality...I just had really hoped there was more to it than that. Pretty disappointed in this one. 44 sur 53 personne(s) ont trouvé cet avis utile. I’m a fan of Michael Lewis and his quirky and smart personality comes through as always. The book feels like he merged a couple chapters of one book with a couple chapters of another. The stories of the complete indifference and incompetence of the presidential transition quickly veered into the stories of some amazing people who work for the government. Both sides were interesting enough, however the two halves (of an already thin book) didn’t meld together. A miss for me. When Trump people did arrive, it was in ones, twos, or very small groups. They weren't interested in in-depth briefings. In several cases, they just wanted the names of anyone in the department or agency working on "questionable activities," such as researching or studying climate change or energy safety. We also get some of the backstory. I am not Chris Christie's biggest fan. More accurately, I'm not a Christie fan at all. But Christie got Trump to, very grudgingly, agree to create, once he was the nominee, the Presidential transition team which is required by federal law. But Trump wouldn't pay for it with his own money, and he wouldn't agree to spend campaign funds on it, so Christie started separate fundraising for it. When Trump discovered this, he hit the roof, and accused Christie of "stealing my money." He was convinced he and Bannon could plan the transition in twenty minutes after he'd won the election. Bannon persuaded him that if he disbanded the transition team, Joe Scarborough and Trump's other media favorites would conclude that Trump believed he had no chance of winning. So transition planning continued. Christie, of course, was fired. And Trump didn't pay any attention to the plans his transition team made for him. When a former Bush official took the time and care to assemble a list of people politically inoffensive to Trump who were qualified to fill positions in one department, Trump ignored that list, and appointed friends, donors' favored candidates, campaign volunteers with absolutely no relevant experience. We've all seen the coverage of Steve Mnuchin at Treasury and Scott Pruitt at Energy, but the nomination of Barry Myers, CEO of Accuweather, to head NOAA did not get the same level of coverage. It wasn't ignored, and it was controversial. Why? Because Barry Myers has sued NOAA, and lobbied intensively, to have NOAA banned from sharing its weather information and data with anyone who might otherwise be a paying customer of the for-profit weather companies. This was an attempt to take the information and data the American taxpayers pay millions for our government to collect and process, and turn it over to for-profit companies to make the taxpayers pay for again. If you think, no bbiggie, I get my weather from Accuweather or the Weather Channel, or whatever other source, not NOAA, you need to know that those companies get all their data that they reprocess and give to you for a profit, from NOAA. They are not launching the satellites, or gathering the data, or maintaining the history, or anything else that is the expensive end of weather prediction. Accuweather claims they make better predictions, but they also don't share enough information for anyone to even have an opinion. And weather prediction overall has gotten dramatically better in recent decades and even in recent years--NOAA is the source of the research that has done that. Myers is so controversial, even in a highly partisan Congress, that he hasn't been confirmed, a year after his nomination. That is just one example in this book. This book only covers a small number of departments and agencies because a book that covered them all would be unmanageable to write and produce in time to be of current use rather than historical use. It's just scratching the surface. Lewis covers this through interviews and with people formerly at the agencies, people outside of them who work with and rely on the vast data these agencies and departments produce, and looking at the ways this data, instead of being a drain on the economy, is a valuable source of growth and innovation in the private sector. It's fascinating, absorbing, and clear. 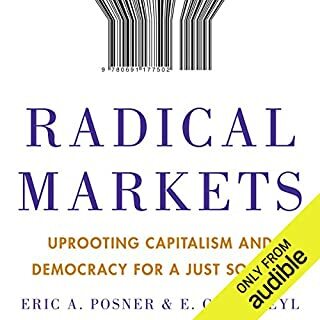 Very much worth reading or listening to. Recommended. 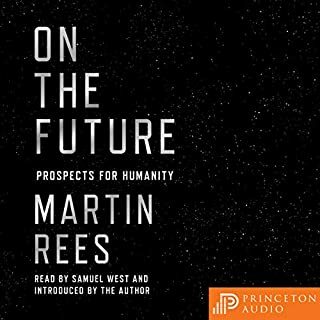 I got this audiobook free from Audible as an Audible member, and I'm reviewing it voluntarily. 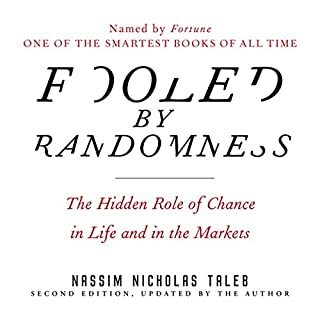 Share this book to everyone. This book should be airlifted into rural areas across the United States. Equal parts illuminating and cautionary. I had no idea how interesting NOAA is. 31 sur 41 personne(s) ont trouvé cet avis utile. Clarity and detail. An informational delivery like that of a comet from the ball of basic information and concerns through the various methods of evaluation, research, and understanding to the glistening tail of understanding. 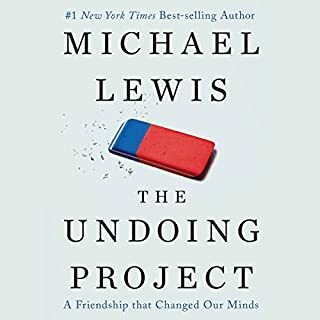 Michael Lewis clearly and fully researches and then eloquently informs his audiences of difficult and diverse topics in government and science. Thank you Michael Lewis for your work. Immensely. 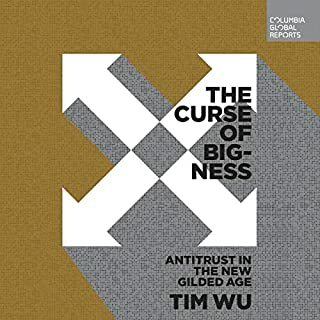 One result of this book is a confirmation of the utter damage possible when those who temporarily govern lack even a modicum of interest in or respect for the work of intellectual and scientific Americans they neither understand nor value. Of especial concern is when those who temporarily govern look at the great responsibility in that work as nothing more than an avenue to maximizing personal monetary enrichment.